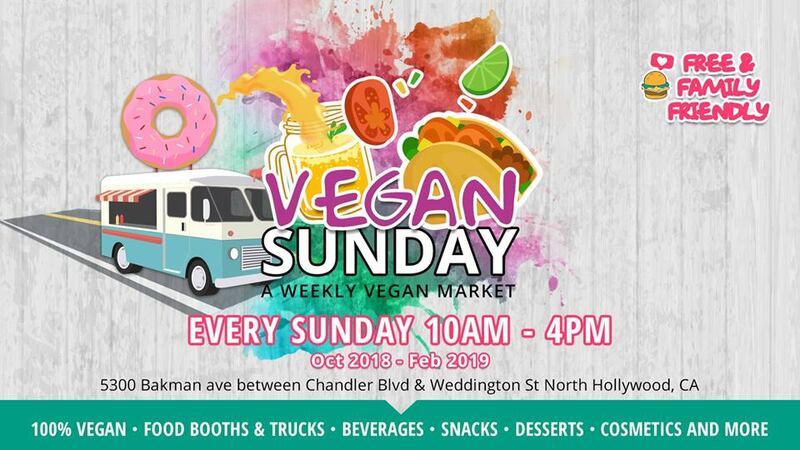 Enjoy a 100% vegan friendly marketplace taking place every Sunday! The event, which takes place on Bakman Ave. between Chandler Blvd. and Weddington St. in North Hollywood, offers a wide variety of vendors and food trucks offering only the best in vegan food and drink. Each week, the list of vendors varies, including businesses like AB Sorbets, Compton Vegan, Harmless Eats, Lettuce Feast and more. Vendors outside of food and drink including NoHo Candle Co., iApparel, The Triple V Clothing and more will also be participating. This event takes place from 10 a.m. – 4 p.m. every Sunday from Oct. 7 – Feb. 10, 2019. Exceptions include Dec. 23 and 30, which will not see a market hosted. Vegan Sunday is free to attend. For more information, you can visit the link below.